In New Zealand, the trend for food delivery services has a tremendous increase and from tech giant to even small players wants to achieve a mark in the marketplace. There is always an opportunity for a new business to solve customers’ needs. Let me take you through the journey of my experience building a food delivery product that is going to change the way New Zealanders order food from 2018. Zinggr is a food delivery application for New Zealand. It is a platform which connects customers with restaurants allowing them to order and deliver food from their favorite restaurants. Zinggr is a mobile app (iOS + Android) as well as a web application. With a fantastic USP and an unbeatable user experience, Zinggr will stand unique in the market. The idea was pitched in early Spring 2017, and we kick-started the project in Fall 2017. Post the initial pitch, I actively participated in the further meetings to make the product USP’s stand out in the market. I took the whole responsibility for strategizing, ideating, defining, designing final deliverables of the product for iOS, Android, and Web. Alongside, I have collaborated with a UX researcher to gain the insights of users, the market of New Zealand and a visual designer for producing branding collaterals and icons for the product. The challenge was simple and straightforward. Enter the highly competitive food delivery tech industry with an excellent usability and functionalities beyond the competitors in New Zealand. Zinggr has three unique selling points based on the market research and customer insights. Zinggr would offer to order from more than one restaurant (<1-mile radius), an option for scheduled delivery and a great user experience for customer retention. With the above USP’s we hoped to create a trust with the customers and pave a way to launch in Australia as well. The main stakeholders stressed on getting out to develop a product with better functionalities than our existing clients in the market, but we believed that thinking in features would land us to a product that is not usable by the targeted customers. Hence, to differentiate the app experience from the competitive market, we stressed on thinking in products to make sure that we build the right features for the right audience and finally tackle the real problems that the customers are actually facing or currently have. To get the product fast to the market is the priority, our product strategy was set based on the Jordi Romero’s MVP and Nikkel Blaase’s product thinking frame work. For a greater focus on the actual experience being offered, we have opted to follow the Lean UX process to help us in sketching, presenting, critiquing, researching, testing, prototyping and even wireframing the solutions. This approach had foster us to align with the business vision and come up with tons of ideas. A constant back and forth meetings with the product owner right from the initial phase had helped us to identify the risks and to build a trust in the design directions as well as decisions. At the initial stage, we highly relied on the low-fidelity sketches to communicate the idea with the stakeholders and later we have conducted iterative user testing using tools such as Invision, principle to get customer feedback and suggestions. A poor NPS score had bubbled up to be the #1 concern since the the usability issues had made 10/13 participants frustrate about selection and the checkout process. The ordering experience is not intuitive and its hard for the user to understand at what stage of the order they are in. The information design is chaotic and inconsistent. Users feel there's too little choice and above which it all becomes disconcerting with ordering only from one restaurant. Users desire to have control over the food ordering or delivery service either on the time, price or choices to make. Users expected that the app should help them to save their time in decision making by personalized recommendations. As the tagline suggests, the primary vision of Zinggr is to build a relationship with the customers and not to be considered as an option among the other food delivery apps in NZ. 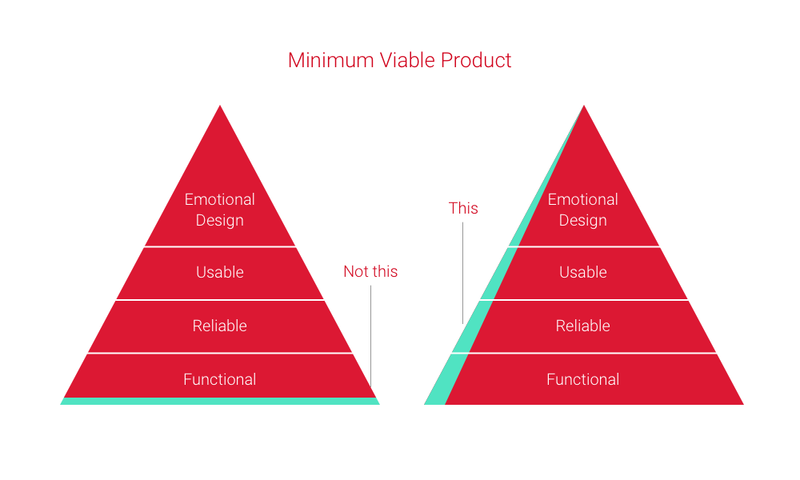 Right from the early phase, the key priority is to focus on achieving a better usable product. Also, we just do not want to list all the food options but, rather be able to suggest based on the previous order patterns thus thereby providing a personalized experience. It is a quick 2 step process to provide the location, date and time for the customers to order food from their favorite restaurants. If customers feel that they want one or more food items to be delivered, we got it covered with no surprises. Zinggr allows tracking the customers’ order request with necessary information and notifications. For every persona interviewed, we scouted the most common use cases and provided a filter that helps to narrow down search results. We performed user interviews and conducted surveys to find quick insights from the customers. Based on the research results we understood that users have different motivations in using the application. Hence, we had to design personas to prioritize the type of users to our application. We have divided the personas into two categories. The primary personas and the secondary personas. At first, we planned to phase our product only to support the goals of the primary users. But I believe that for a long-term purpose, benefiting more than one group should be included in our strategy. Hence, we started considering both the primary as well as the secondary type of personas. Building the personas had helped to remind the major stakeholders always about the product, design decisions and prioritizing the feature set. Based on the customer insights we gathered through the user and market research, I have used the frame of POV which is the point of view for the primary personas to reframe the problem and open up new design opportunities. POV 1: Jennifer is a 30-year-old single mom who loves to try new food/restaurants for lunch. She needs a way to go over different menu items from the restaurants around her location that doesn’t clutter her work schedule, while making her feel excited about discovering new dishes. POV 2: Sam is a 22-year-old student currently pursuing his degree in architecture and a bodybuilder. He needs a way to schedule his order in advance, to keep him not worried/think about breaking his healthy calorie diet. Storyboarding a user journey had helped to design and communicate the edge cases that were not thought initially. Such a representation had also contributed to clearly communicate with the stakeholders and get buy-in for the features proposed. POV: Jennifer is a 30-year-old single mom who loves to try new food/restaurants for lunch. She needs a way to go over different menu items from the restaurants around her location that doesn’t clutter her work schedule while making her feel excited about discovering new dishes. Through exhaustive investigation of research and brainstorming the different perspectives and use case scenarios allowed me to come up with a broad set of tasks that could be the part of any user journey profile. Initially, for any customer (irrespective of demographics) to search a food item, I hypothesized that cuisine based search would be more preferred. But, to back it up I had no qualitative data or quantitative data to support. Hence I performed the card sorting technique with eleven participants to understand the mental model of customers’ thought process. The results clearly showed that the participants would want to search by cuisine and further the think-aloud practice during the card sorting technique had helped us to nail the workflow for the product, phasing the strategy and a clear product feature roadmap. All the items below were validated and finalized based on our persona needs, engineers and tech feasibility and the business vision. To validate the design decisions, we have created a set of design experience principles or design goals to cross check at every phase of the product; be it a mobile app or a web app. Such practice had helped us to stay in line with the end user goals and especially the business goals. Prototyping is the crucial step in the Lean UX process. Whether be it a low fidelity or High fidelity, prototypes have helped to quickly present the idea, test both with the internal team and with the 3-5 participants to validate and iterate until the best experience had achieved. Since there was no Design system set, my design communication process involved a lot of whiteboarding concepts and sketching the core user flow with my Product manager. For each stakeholder presentation, I have used Invision as a tool to present the design concepts effectively. For the initial-phase set of designs, we had three iterations of white-board wireframes and translated the finalized or the agreed set of designs to low- fidelity wireframes. As the Lean UX suggests to design fast and test immediately, for a quick validation with the internal team and with few participants, I have used Invison to imitate the flow of usability testing. Our researcher had investigated the designs by think-aloud technique. The prototypes have helped to gain meaningful insights from both internal teams as well as the participants. Zinggr is a product for Mobile and Web. It did not require a design system but needed a visual language document to inform how the product looks and behaves. So, I have collaborated with the branding designer to discuss the color theory for the product. I have also interviewed three people of different demographics to understand how users imagined about the visual attributes and UI elements. I have taken a vital screen of Zinggr application which is the landing page for restaurant selection to test the color theory chosen. After several iterations, to and fro stakeholder presentations we all agreed on a style and I started spending time on creating UI screens. In parallel to UI screens, I also put together the design specs (sequentially updated) to maintain consistency across the product. Below are few selected screens designed for iOS, Android and Web platforms. Due to the tight timelines, we had to test the major workflow of the application using Invision and the micro-interactions utilizing the Principle prototyping tool. I worked closely with our UX researcher to define the objective, success metrics and the set of tasks for the usability testing session. In the meantime, I had given a presentation regarding the design spec of the product with the iOS, Android and Web developers to get them started on the framework. Due to the NDA, I am restricted to explain the changes based on the usability testing results. Overall, the product resonated well with the participants and had a more excellent NPS score compared to the three existing apps that we previously tested. The final designs were handed off to the developers. Currently, I am overlooking on the developed screens for both web and mobile suggesting UI and interaction imperfections. The product launch is proposed to be launched soon. The above quote is so true. A product is never done and the challenges evolve once it is out into the market. For the future, I have done a documentation of all the process involved, stakeholder updates and design decisions made so that to be helpful for the future designers to take over. I have also prepared the success metrics for future usability studies to see how well Zinggr had been able to justify the customer insights that we had collected during the user research phase. Whether it be a physical product or a digital product, customers always incline to the best that satisfies their needs. User research, Market Research, and Usability studies have changed my perspectives on how users would go about choosing a product. The Lean UX process helps designers to focus more on the experience rather than the deliverables and I believe it is required to avoid wasting time regretting on not taking better design decision ahead of time. Working closely with the product manager and engineers had helped to develop a strong understanding of experience required. Communication was much faster, especially when there were any technical limitations.